Once again I've been scooped by "DaShark", who beat me to the punch in pointing out Julie Andersen's hypocrisy in her latest post, telling us to "Do as I say and not as I do". I other words he pointed out what a complete hypocrite this "Shark Angel" and "shark expert" really is. She once again showed that she is much more interested in promoting herself, rather than shark conservation. Back in 2013 Julie wrote an article for "SCUBA Diving" where she wrote. "The topic of touching sharks can spark heated debates. It’s an inner turmoil I wrestle with often, having spent hundreds of hours underwater with them. A quick Google search reveals many images in which I am brazenly touching sharks. Yes, it is something I did (and often still am tempted to do), but it is something I don’t encourage. In fact, just the opposite." I have to admit, that I did have a problem with her stand, because she gained her fame by touching and riding sharks and once she had that name recognition, she didn't want others to get in on the act and compete with her for sponsorships, money and fame. Ok, we all make mistakes and who hasn't done something we are not proud of? I thought: "at least she admits that she did something that wasn't good and is changing". Skip a couple of years and here is her latest post on "Shark Angels"
It's time to change your perspective. Watch this stunning new video from Built By Wildman featuring founder Julie Andersen showing the world sharks aren't what they seem. Give sharks a chance. After all, it's about our oceans... and our collective futures. What they really meant to say it this "It's time to change your perspective. Watch this stunning new video from Built By Wildman featuring founder Julie Andersen touching sharks and showing the world she isn't what she seems. She says "Don't touch sharks!" while still doing it herself. Give Julie a chance. After all, it's about her... and her future as a spokesperson and her ability to maintain her fame. We at Shark Diver promote "Safe and sane" diving with sharks. 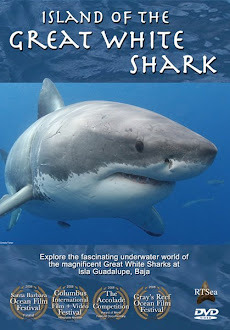 We respect the sharks by not touching them and staying inside that cages at Guadalupe Island. We realize that is is all about the sharks. Protecting them and supporting conservation is our primary goal. 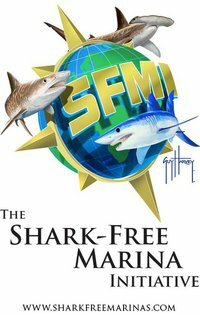 We dive with great white sharks at Guadalupe Island, with bull sharks in Fiji and tiger sharks in the Bahamas.